He replaces Andy Saperstein, who is becoming co-COO of institutional securities. 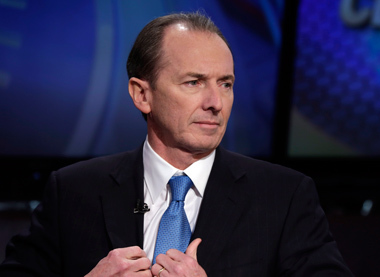 Morgan Stanley is shifting top executives at the wealth-management and capital-markets units to give the firm’s leadership broader experience with its main businesses. Raj Dhanda, who was co-head of global capital markets, will lead investment products and services in wealth management, the New York-based company said Thursday in a memo to employees obtained by Bloomberg. Mo Assomull, who was co-chief operating officer of the institutional securities group, will take Dhanda’s old job, according to the memo, which was confirmed by a spokesman for the bank. Andy Saperstein, who was head of investment products and services, will become co-chief operating officer of the institutional securities group. The bank also said that Clare Woodman, also co-chief operating officer of ISG, will join the operating committee. To contact the reporter on this story: Elizabeth Dexheimer in New York at edexheimer@bloomberg.net. To contact the editors responsible for this story: Peter Eichenbaum at peichenbaum@bloomberg.net.